For many members of the audio industry, taking life’s lemons and making lemonade isn’t so much an occasional occurrence as a life choice. Working within a market populated by small-scale manufacturers, they find themselves constantly prey to the vicissitudes of outrageous fortune, larger economic forces and wider technological dictates. Then, of course, there’s also our own internal alarums and catastrophes. Losing a major supplier or source of vital components can derail entire product lines or development projects. When Danish cabinet manufacturer Hornslet collapsed, suddenly most of the independent speaker manufacturers in Europe, and not a few in the US, found themselves devoid of enclosures and desperately hunting for an alternative source, while orders stacked up and cash flows withered to a trickle. 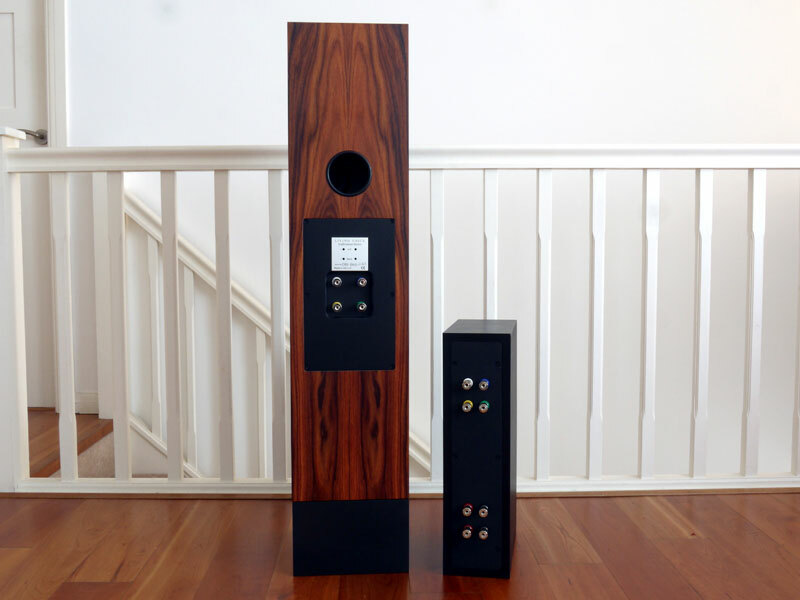 One manufacturer faced with just that set of circumstances was Living Voice, a company that relied on Hornslet to build cabinets for their entire range of Auditorium/Avatar floorstanding speakers. But the problem extended beyond simply finding another supplier. As any loudspeaker manufacturer will tell you, source a cabinet from a different supplier and the speaker with which it is made will sound different. Indeed, even working with a single supplier, sonic consistency is a serious challenge. With a speaker like the Auditorium that’s been incrementally evolved and refined over a period of nearly thirty years, an unexpected change in something as major as the cabinet can seriously upset the musical apple cart. Faced with the painstaking process of not just finding a reliable new source for cabinets but also working with that supplier to develop a consistent and sonically acceptable product, Living Voice took the brave (perhaps foolhardy) decision to institute a series revision, simultaneously introducing a number of other developments they’d been working on, to create a new model. 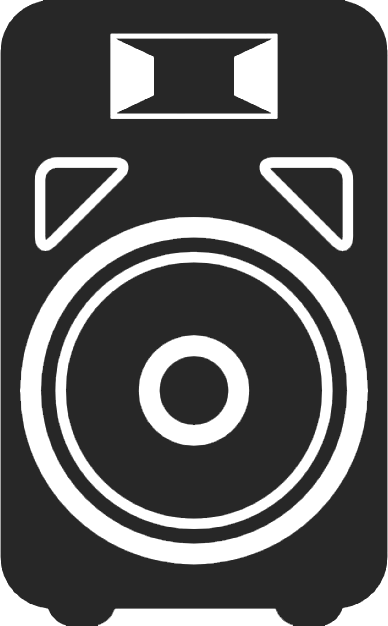 Although the cabinet changes apply across the whole range, the other component changes are limited to the top to models, the R3 and RW3, in both the IBX (internal-crossover, as previously reviewed) and the OBX (external-crossover) versions. With that in mind, it seemed like a good time to revisit the Avatars, although this time I chose the top model, the OBX-RW3, with the musical benefits but practical challenges of their offboard networks. 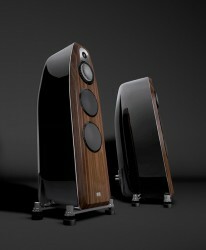 Physically, the changes to the speaker are less than obvious; indeed, they’re all but invisible. The development of new cabinets created the opportunity to trial new material for the walls, revised bracing and, most importantly of all, the chance to look at selected veneers to face the inner walls. Whilst the older cabinets had used balancing veneers, the choice of that veneer was left to chance and availability. 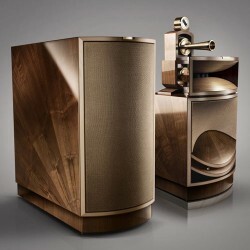 This time around prototypes were built with a range of different internal veneers that, as expected, each exhibited its own particular sonic signature. With stock material chosen and bracing finalized, the choice fell on maple for the internal faces. The other major change was a significant revision to the tweeter. The R2 and RW both relied on ScanSpeak’s highly respected Revelator tweeter, a refined silk-dome unit with many admirable qualities, but also a subtle but recognizable dip in output between 12 and 15kHz. Living Voice have worked with ScanSpeak to develop their own proprietary version of the Revelator, employing a different fabric and coating to eliminate that dip in output, a change that has in turn resulted in a shift in the crossover point. Finally, the crossover itself has been completely revoiced to accommodate not just the new tweeter but also the new cabinets, with every component revised or replaced. In fact, only the bass and midrange drivers, cryogenically treated wiring loom and platinum-plated terminals remain from the previous version. 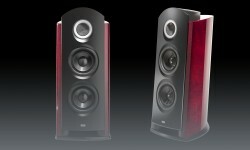 Not surprisingly, the OBX-RW3 sounds different from its predecessor; what is surprising is the scale of that difference. The elimination of that subtle dip in the tweeter’s response has had a far-from-subtle effect, while the changes to the crossover and cabinet also clearly contribute. The OBX-RW3 is a bigger-, bolder- and far more incisive-sounding speaker than its slightly warm and cuddly predecessor, performing with a confidence and musical authority that deliver a timely boost in performance, just when competition at its price point has been seriously hotting up. Of course, the combination of high efficiency and an easy load give the OBX its own USP, especially compared to the rash of three-way competitors emerging left, right and center, but its newfound dynamic poise and rhythmic self-assurance should broaden its appeal considerably, well beyond owners of SETs and other low-powered amps. With Conrad-Johnson’s latest Classic One-Twenty, the speakers thrived on the weight, power and musical muscle of the powerful stereo chassis, while also giving full voice to the amp’s impressive tonal and textural subtlety. 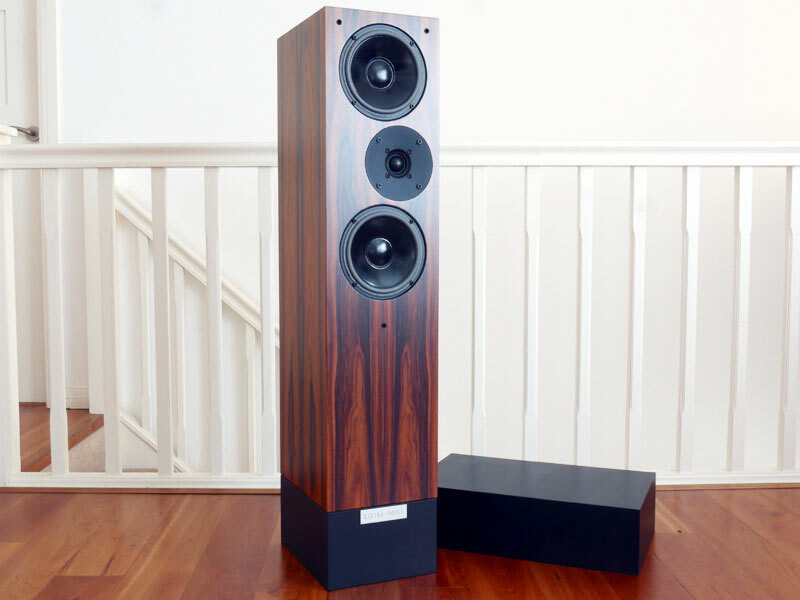 There’s no doubt that 120 watts might be considered overkill for a speaker with 94dB sensitivity, but there’s no doubting the weight, grip, control, sheer musical gusto and enthusiasm that resulted. Play the closing allegro from Janacek’s String Quartet No.2 (the recent Quatuor Voce recording, Lettres Intimes [Alpha 268]) and there is both vigor and precision in the playing, an effortless transition through pace and density, a constant sense of the relationship between, the character and controlled energy of the players. The dense flurries that separate the calmer passages are explosively intense, yet the longer lines have poise and grace, an elegance that encapsulates both the time and the high manners of the period, the social gloss that obscures the churning emotions beneath the surface. 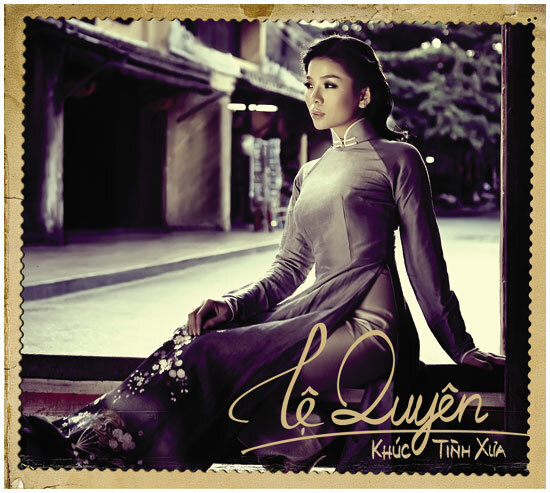 A love affair conducted through music, the 2nd Quartet has rarely sounded so desperate and heartfelt. 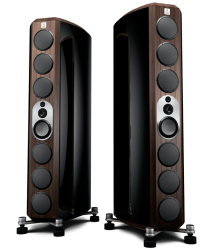 This bolder, more emotive and more dramatic performance reflects the OBX-RW3’s greater expressive range, its increased ability to let the performance breathe, to allow it its own voice. These are qualities that the original models already possessed in spades, yet these latest revisions extend them and not in a small way. 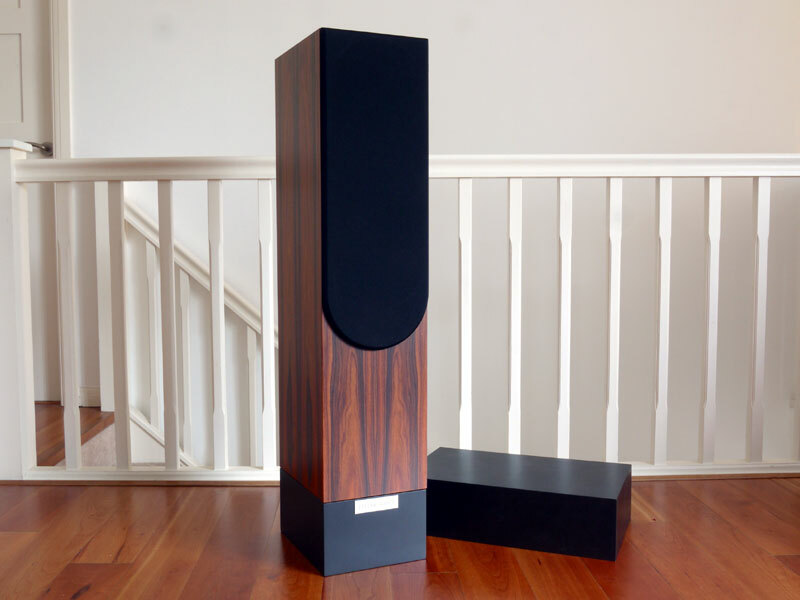 This allows the speaker to encompass wider musical and dynamic contrasts and works of larger scale in a more convincing fashion too, as well allowing the speakers to play with a wider range of equipment -- just as long as that equipment is up to the mark in qualitative terms. 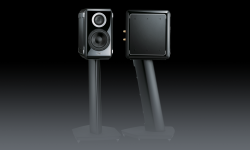 The OBX-RW3 remains a musically honest speaker that’s not going to do anything to hide deficiencies upstream. 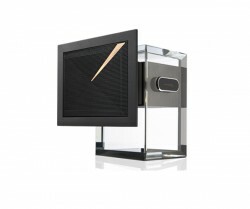 The price for the speaker’s domestically appealing compact dimensions and high sensitivity is paid in terms of bandwidth. The limits of the 35Hz roll-off aren’t specified, but like other high-efficiency designs (the Coincident Technology speakers spring to mind) there’s a difference between reach and throw -- meaning that really deep bass may be discernible, but it lacks weight and independence, this last being crucial. The OBX-RW3 does a great job with the attack and pitch of bass notes, as much because of its ability to deliver midbass energy as its actual low-bass performance. Lydia Shelley’s cello is rich, woody and vibrant, even through its lowest notes, but what you lose is the dimensionality of the instrument and the acoustic. The Avatars fasten on the identity, tonality and location of the instruments, the straight lines between them, rather than the air and space in which they are playing. It makes for a dramatic, immediate, almost personal presentation, long on ensemble chemistry, short on architectural reference. The results are often as vivid as they are engaging. Play the familiar opening of the Johanos/Dallas Rachmaninoff Symphonic Dances (the Analogue Productions 45rpm reissue [APC34145S]) and the spatial separation and location of those individual instrumental interjections is super precise, the tonal differentiation of the various woodwinds both incredibly obvious and natural. The bass arpeggios and percussion add the necessary drive, the timps exploding with an almost shockingly sudden "snap" and dynamic jump. But the sound is all about the instruments, their contributions individually and in concert. 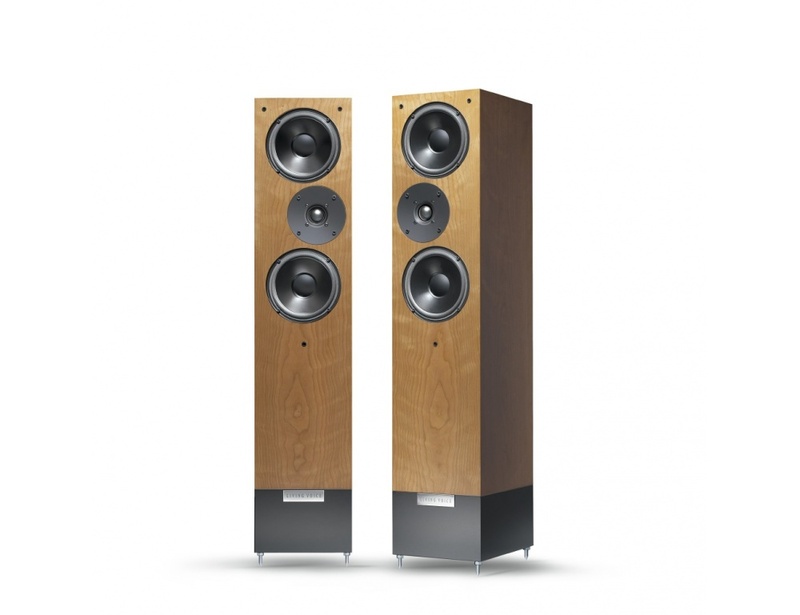 The hall acoustic is minimal, the sheer weight of the low-frequency underpinnings that you hear on (much larger) genuinely full-range systems is absent, together with that sense of palpable space that it supports. 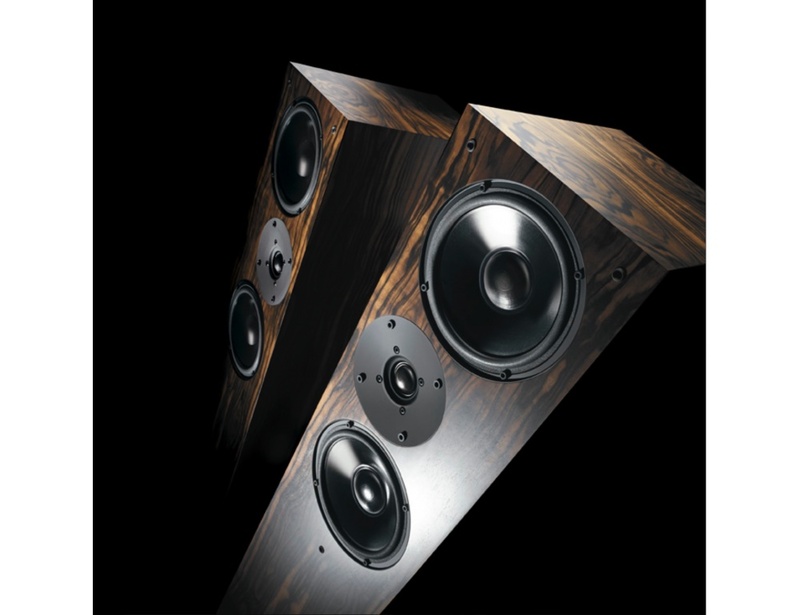 If you are looking for that impression of acoustic presence, then a speaker like the Vienna Acoustics Listz will tick that box -- at the cost of higher power demands and more exacting siting. What the OBX-RW3 delivers instead is immediacy, drama, a real sense of musical intent and purpose. The impression of human agency, of people doing things to instruments, is unmistakable, the sense of collective endeavor equally powerful. That ability to capture the human aspects of performance isn’t limited to large-scale orchestral potboilers. "The Ballad of Hollis Brown" (Bob Dylan, The Times They Are A-Changin’ [Columbia LP5108]) has a communicative urgency and vitality that belie the acoustic power of the solo voice and guitar. There’s a natural ease and linguistic logic to the elastic tempo and phrasing of "With God On Our Side," adding weight to the sentiments that make this a song for these times, if ever there was one. Meanwhile, there’s an entirely different sense of desperate power and irresistible force to "Give Me Back My Man" (The B-52’s -- butcher’s apostrophe and all! -- Wild Planet [Island ILPS 9622]) the crisp, Chris Blackwell/Compass Point production unmistakable in its ability to keep the busy mix all moving in the same, correct direction, making the most of the tight band and layered, interlocking vocals. If you think the B-52’s are nothing but a novelty act, listening to them through the OBX-RW3s will soon convince you otherwise. These enforced revisions to the longstanding Living Voice Auditorium/Avatar range have resulted in a significant step forward in musical performance. The difference will be most noticeable on the IBX/OBX models, those sporting the new tweeter, but even the base model Auditorium has benefited from the new cabinet and an injection of life and purpose. 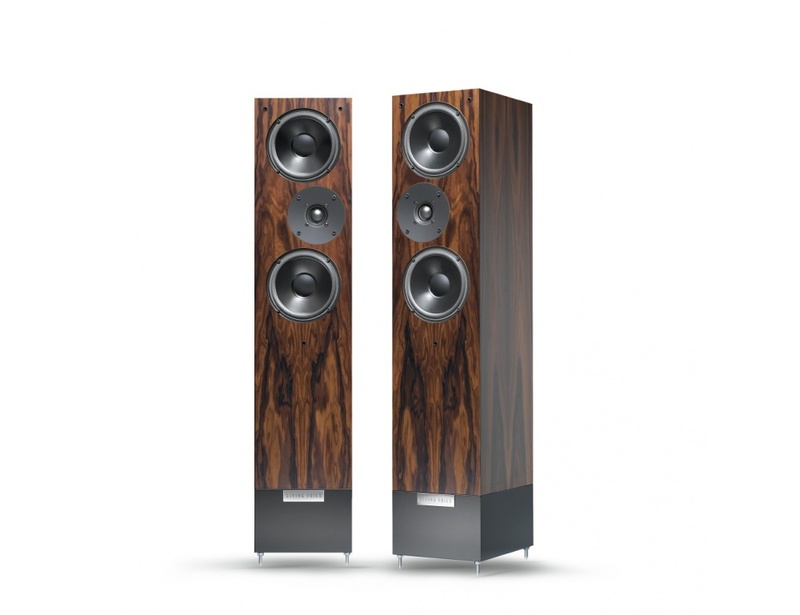 The OBX-RW3 remains at essentially the same price point as before, the eight finishes (starting with cherry, black ash, maple or walnut, ending with piano black) range from £10,150 to £14,000 per pair, prices that include 20% UK sales tax. Meanwhile, the relative strength of the US dollar (and weakness of the post-Brexit pound) means that US prices have actually dropped. The OBX-RW3 starts at $11,250 per pair -- that’s $575 less than the old model, with similar or bigger savings across the rest of the range (the IBX-RW3 is down by $1100 in base finish and now starts at $8850 per pair, with the beautiful Santos rosewood option adding just $150). A carefully crafted, conventional speaker that has benefited from a lengthy evolution and remarkable attention to detail, the OBX-RW3 offers remarkably natural tonality for such an efficient system, coupled to the sort of (equally remarkable) musical insight you might expect. The combination is a compelling one. 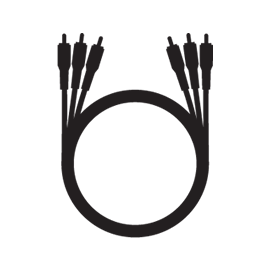 The ability of the latest model to embrace a wider range of partnering amplifiers makes it more compelling still. 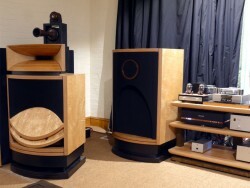 A brief pairing with the latest Tom Evans Linear B monoblocks has left a haunting impression that not only demands further investigation, it underlines the fundamental nature of the improvements wrought in what was an already impressive performer.